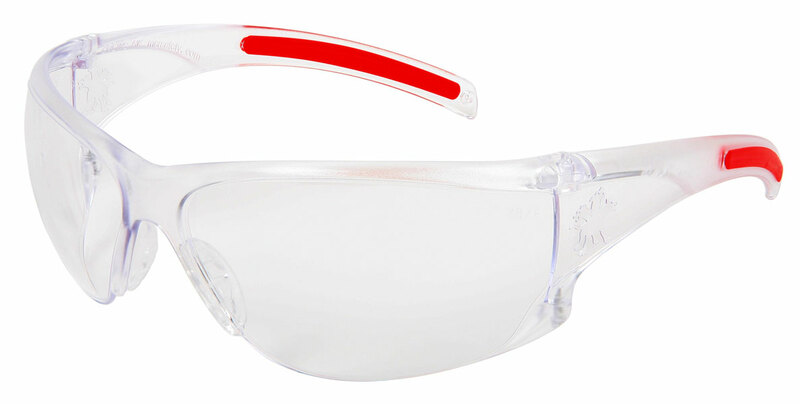 The HK1 Series gives you all the features you want for a comfortable and stylish option in protective eyewear. This generous lens offers an outstanding orbital seal and prevents hazards from threatening one of your most treasured belongings - your eyesight. Soft secure TPR (Thermal Plastic Rubber) nose pads give you long lasting comfort and non-slip soft temple material helps hold the eyewear firmly in place. The HK1 Series passes ANSI Z87+ standards for high impact.